Over the years at skinflint we've sourced original vintage lighting from the most intriguing of places at home and abroad; from decommissioned power stations and factories, to old schools and hospital asylums. 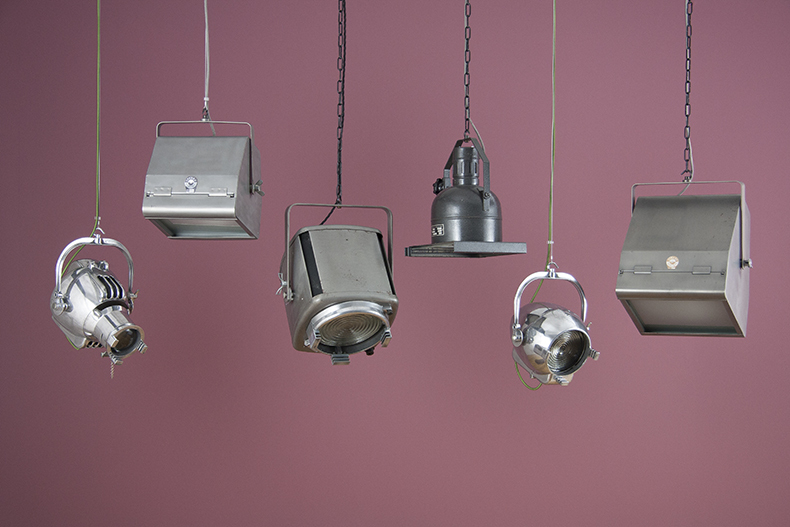 Our vintage theatre lighting collection is no exception. We dip into our archive material to find out more. Encompassing various ceiling and floor lamps with a fascinating history, the pieces in our vintage theatre lighting collection started life illuminating esteemed entertainment landmarks in London and further afield. Many of the lights were originally manufactured in the 1950s by Strand Electric. Founded in 1914 by theatre electricians Arthur Earnshaw and Phillip Sheridan, over the course of 50 years Strand became the UK and Europe's principal manufacturers of stage lighting and theatre equipment. London theatre legend tells of how Earnshaw and Sheridan began as rivals for the position of chief electrician at the Duke of York's Theatre. When Sheridan arrived to his interview with the owner, Earnshaw was also waiting. Earnshaw was successful, but the two crossed paths again when Jim Woolnough, of General Electric Company, suggested Earnshaw begin private electrical wiring work. Earnshaw took his advice and took up an office at 65 Long Acre in London, only to find that Sheridan had received the same advice from Woolnough and had also set up office at the same address. Rather than continue to compete privately, the two formed a company together called Strand Electric which went on to become the internationally renowned theatre and television lighting company Strand Lighting. In 1923, the company installed the famous “Centre of the World” lighting display on the facade of the London Pavillion Theatre in Piccadilly Circus. In 1931, Strand also famously illuminated the architectural jewels of Trafalgar Square: Nelson’s Column, the National Gallery, and St Martin-in-the-Fields church. 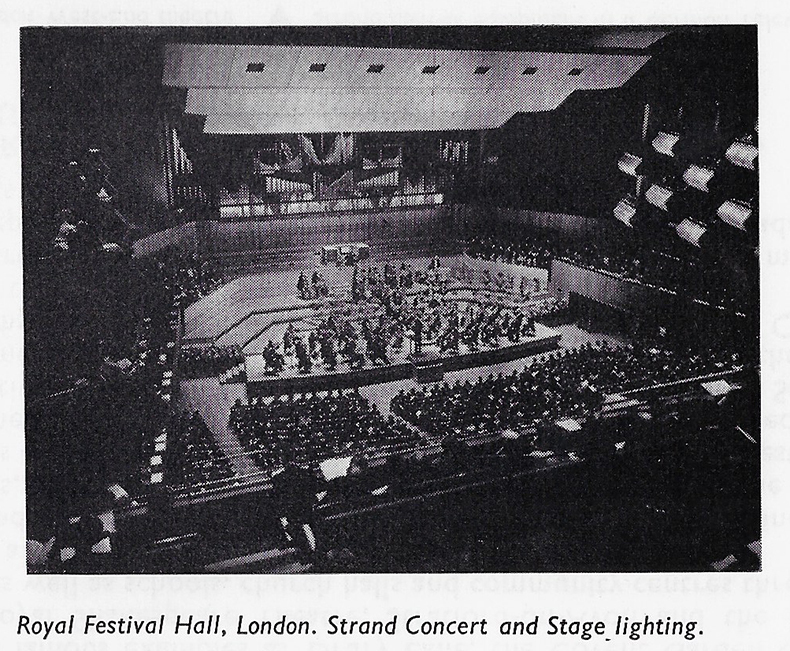 Strand became an important part of the cultural fabric of London and was to be found in virtually all British theatres and halls including London’s Theatre Royal on Drury Lane, The Royal Opera House in Covent Garden, and as these pictures from Strand's original catalogue show, the Royal Festival Hall on the South Bank and the Royal Albert Hall. Aside from their well known work in the entertainment industry Strand also illuminated iconic buildings as diverse as St. Paul’s Cathedral, the B.B.C. Television Centre and the Tower Ballroom in Blackpool. 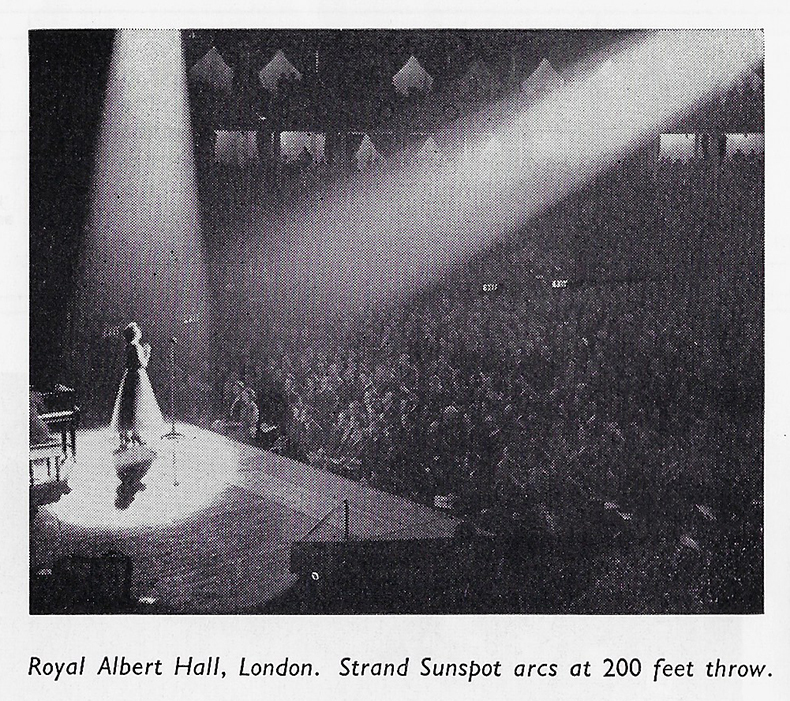 Today, Strand Lighting is still in existence as a separate, independent company run within Royal Philips Lighting, and continues as a leading name in stage, television and motion picture lighting. Thanks to our expert team here at skinflint their vintage lights are also still in business, including floodlights, spotlights and projectors all now sensitively and meticulously restored and refurbished ready for modern day use in the home. 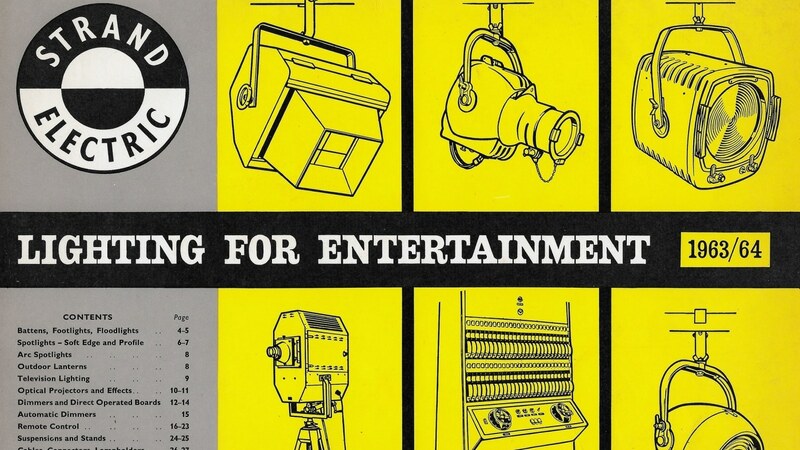 Explore our vintage theatre lights collection. From the Ancient Egyptians to modern-day uses - Dr. Tania Woloshyn traces the fascinating medical history of our heat lamps.